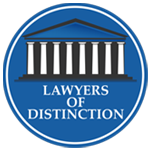 If you have been convicted of a crime in Pennsylvania, you need an experienced post-conviction sentencing proceeding attorney at the important hearing which will determine the exact penalty you face. 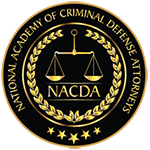 Working with a criminal defense lawyer throughout the process – including in the sentencing phase – can provide a defendant with an opportunity to mitigate one’s sentence. 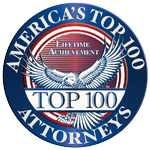 Criminal attorney Lauren Wimmer has successfully represented clients during the sentencing proceedings following their conviction. 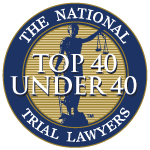 To schedule a free and confidential initial consultation, please call 215-712-1212 today. 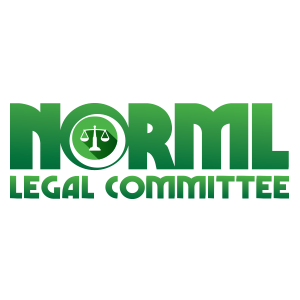 WHEN DO YOU NEED A POST-CONVICTION SENTENCING AND RELIEF ATTORNEY? Sometimes, individuals mistakenly think of a guilty verdict as the end of their ordeal. They may believe that the entering of a guilty verdict means that they will likely face the most serious consequences authorized under the law. Thankfully, this is not the case. The defendant and their post-conviction sentencing proceeding attorney have an opportunity to influence the severity of the sentence by way of what is called “post-conviction proceedings”. Even if that person did not have an attorney previously, they can still retain legal representation to represent their best interests and pursue the best possible outcome at sentencing. At the sentencing phase, the conduct and surrounding mitigating and aggravating factors will be presented and assessed. The sentencing phase of the trial involves a different legal skillset and there are many reasons why an individual may wish to change counsel for the sentencing portion of proceedings. Working with one or more attorneys throughout the entire process can increase the likelihood that all mitigating evidence is considered before a sentence is rendered. Under Pennsylvania law, it is the responsibility of a trial judge to render a sentence following a conviction. While broad sentencing guidelines apply, this judge is granted direction to apply a penalty that they think fits the crime. For instance, an individual could be sentenced to serve house arrest, pay a fine, engage in community service, or serve a prison sentence. The judge decides. A post-conviction sentencing proceeding attorney can seek relief and work to reduce the sentence a convicted individual will serve by presenting evidence of mitigating acts and circumstances. While it is true that sentencing guidelines provide a general range of penalties, judges are free to depart from these guidelines when circumstances warrant. However, any deviation from these guidelines must be explained by the judge. Therefore, defense counsel must present strong legal reasons and evidence of mitigating factors for a downward sentence revision before a judge can consider ordering a sentence below guidelines. Evidence presented by your criminal defense attorney could also cause the judge to order a penalty that is equal to the minimum punishment under the guidelines. If you have been convicted of a crime in Philadelphia or Pennsylvania, your next step is to face the sentencing phase. At this phase, the exact punishment you face will be decided. Because judges have discretion in determining your sentence, it is essential to have a post-conviction sentencing proceeding attorney who can advocate on your behalf and present your actions in the best light. We invite you to contact us or call for a free consultation at 215-712-1212 today. 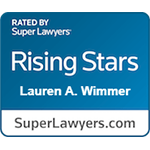 Criminal defense attorney Lauren Wimmer can fight to protect you from a worst-case sentence. To schedule a free and confidential post-conviction relief consultation, call today.